The Channel Manager wins and maintains relationships with consigned channel partners. He holds a strategic position that can help a business extensively in the rough market. Due to our vast experience in the field, MYP offer Channel Manager services to businesses. We have a clear established policy to this regards. 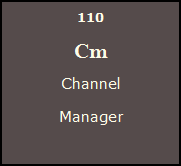 But first let us see what is a Channel Manager. A Channel Manager is responsible for achieving sales, profitability, and partner recruitment objectives. That person represents the entire range of company products and services to assigned partners though may focus on a specific solution or product set if focused in a partner vertical market. A Channel Manager ensures partner compliance with partner agreements and proactively assesses, clarifies, and validates partner needs on an ongoing basis. We love taking new challenges and going beyond everything to bring success to what we set to achieve. Any service that MYP offers is something that is well within our reach and we know we can succeed at.